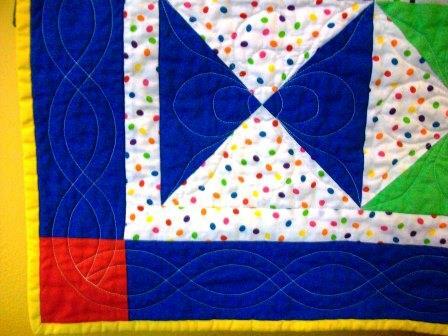 I finished this quilt for a friend of mine who started piecing it for her first grandchild several years ago. I finished piecing it by machine mostly. I had to hand sew some of the corners so all the points would match better. 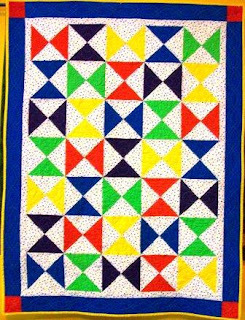 It is machine quilted. 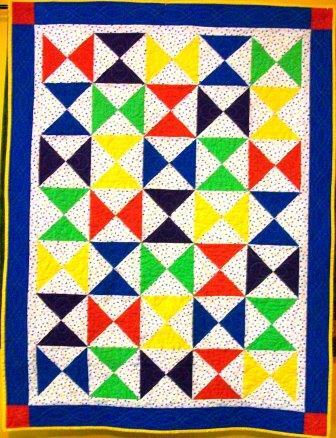 The quilt measures approx 38 in X 50 in. 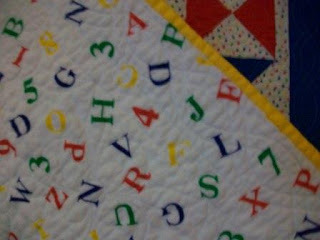 Here a close up that show some of the quilting. The backing is a wonderfully soft flannel.